Seth Hyatt focuses his practice on complex civil litigation—particularly Fair Labor Standards Act and False Claims Act cases—in state and federal courts across the country. Seth has experience representing whistleblowers in qui tam actions under the Federal False Claims Act and similar state statutes. Seth has handled cases in a number of jurisdictions including the Middle, Eastern and Western Districts of Tennessee, Middle District of Florida, Eastern District of Kentucky, and Southern District of New York. Seth has particular experience representing whistleblowers in qui tam litigation against government health care programs, such as Medicare and Medicaid. Seth has also represented whistleblowers reporting fraud in industries such as defense contracting and government procurement. 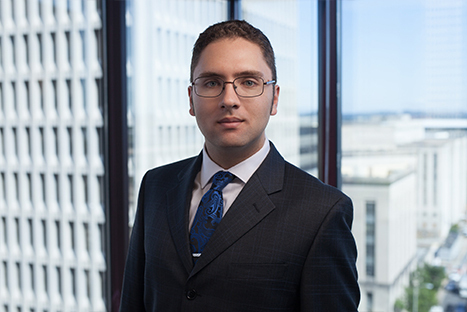 In his Fair Labor Standards Act practice, Seth has considerable experience representing employees who have been misclassified and underpaid by their employers. This experience includes representing workers who have been forced to work off the clock, workers who have been misclassified as independent contractors, and workers who have been misclassified as exempt from the overtime requirements. In law school, Seth served as a Managing Editor of the Vanderbilt Law Review. The Law Review published his student note in the spring of 2011 addressing the practical and moral uncertainties of text message surveillance by law enforcement officers.